American Idol Season 3 winner Fantasia is set to get real via a soon to be titled VH1 reality series.Barrino, fast at work on the follow up to 2006's Fantasia and a return to the stage as Celie in "The Color Purple," inked a deal with VH1 this week that will showcase her life as a single mother and recording artist. "Fantasia has one of the most fascinating stories in show business, from her tough upbringing to her meteoric rise on the national scene thanks to 'American Idol. Her challenges from fame and her unwillingness to fail have combined to create a larger-than-life talent who appeals to music lovers around the world," Jeff Olde, executive vp original programming at VH1. 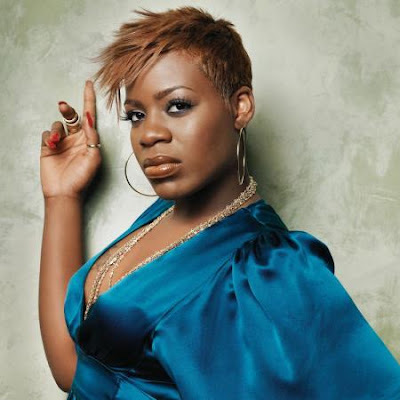 Fantasia's deal, which follows the successful Lifetime movie "Life Is Not A Fairytale," will likely air early 2010 on VH1. Sources close to the deal say producers look forward to revealing the funny, fresh and unexpected sides of Fantasia throughout the series. A title for Fantasia's series will be unveiled in the coming months.